Astrology House consists of Hamish Saunders, Angela Thomas and Mark Griffin and is the inspiration of the late Owen Avis. We are based in New Zealand and have been providing professional astrological services since 1980 and developing Janus Astrology Software since 1998. Our clients and Janus customers come from all walks of life and all corners of the globe. Along the way, we founded the Astrology Foundation Incorporated in 1983 and the New Zealand College of Astrology (1986 - 1999). 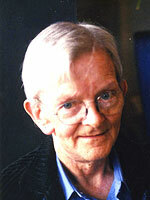 Hamish Saunders began his studies in astrology at the age of 15. Before becoming a full-time professional astrologer in 1981, he worked in telecommunications and photography. He has practised yoga and meditation for nearly 40 years and maintains a deep interest in the Eastern wisdom teachings of Zen, Buddhism and Taoism. A Scorpio, with Leo rising and the Moon in Aquarius, Hamish views astrology as a tool that can help people increase their self-awareness and assist them when making decisions in their life. He was the head tutor of the New Zealand College of Astrology from 1988 to 1999 and is past president (1988 - 2005) of the Astrology Foundation Incorporated. He is a graduate of Robert Zoller's course in Medieval Astrology and is an honorary member of the Regulus Ebertin Study Group in Australia. 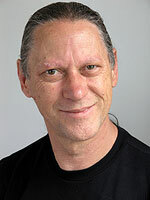 He lectures on astrology internationally and within New Zealand, has appeared on radio and television many times and is currently involved in the development of the Janus Astrology Software programme. Angela Thomas began her studies in astrology in 1988 through the New Zealand College of Astrology and has worked at Astrology House full time since 1994. 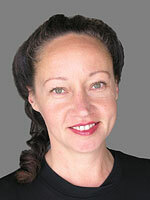 She is trained in Medieval and Modern methods of astrology, including Cosmobiology. A Pisces, with Aries rising and the Moon in Aquarius, Angela brings a mix of Piscean warmth and intuition with Arian directness to her consultations with clients. As well as doing client work, Angela teaches and lectures in astrology. She is involved in the development of Janus Astrology Software and her interests include Tai Chi, belly dancing, European languages, travel, nature and cinema. Mark Griffin has had a life-long interest in mathematics and science. A double Virgo, with Mercury in Virgo in the 1st house, Mark worked for over 15 years as a manager and computer programmer for Philips before joining Astrology House full time in 1993. 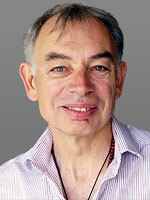 Since 1980, Mark has written astrology software for Astrology House and managed our office. Mark's interests include computer programming, aerobatic flying and tending his garden. The late Owen Redwood Avis (1932 - 2001) co-founded Astrology House and the Astrology Foundation Incorporated with Hamish and Mark. He had been a practitioner of astrology for over 30 years. He was a systems analyst for major New Zealand companies and used his business expertise to set up Astrology House. Owen had traveled extensively in his youth. He had met with many of the world's leading astrologers. In the 1950s he met and studied with Reinhold Ebertin and became an advocate of Ebertin's system of Cosmobiology. An Aquarian, with Pisces rising and the Moon in Cancer, Owen was a man of vision and insight. He was strong-willed and firm in his decisions, and a fine and accurate astrologer and inspiring teacher. Promote, encourage and carry out instruction in astrology or any related science or philosophy. Set, hold and control examinations and grant diplomas in astrology that reflect the standard of aptitude, integrity and conduct expected of a practising astrologer. Provide and maintain a register containing the names, addresses and qualifications of all persons approved by the AFI to practice or instruct in astrology. Promote and arrange conferences, lectures and discussions. Publish, magazines, newsletters, essays and reports etc. Establish and maintain clubrooms and hold entertainments. Join or affiliate with other societies or associations holding similar objectives. The AFI had its inaugural meeting in 1984 with 40 astrologers, astrology students and other experts in related sciences. It was legally incorporated in 1985. In 1986, under the auspices of the AFI, we founded the New Zealand College of Astrology. The NZCA introduced hundreds of students to astrology over its 13 year lifetime. Astrology House has been a driving force in New Zealand and international astrology. We have encouraged the efforts of local astrologers and organised visits by some of the world's leading astrologers, including Nicholas Campion, Deborah Houlding, Doris Greaves and Robert Zoller. We have represented astrology in the media with regular appearances on TV and radio.